Home » Tips » Who is GamCare? Gambling has been around for centuries and even the lottery as we know it today, was started as far back as the 1500s as a fundraiser, with the approval of Queen Elizabeth. To many gambling is a sport, while others become obsessed with winning to such an extent, that it becomes an uncontrollable habit. Unfortunately, this habit is practised by a large number of people within the population. This obsessive habit has caused grave concerns in families and social circles and is responsible for many losing valuable assets including cars, homes and other valuables. These people suffer inordinate cravings. When the desire to win at gambling tables become intense, common sense flees as the craving has to be satisfied for the individual at any cost. This has created a problem in houses of gambling, since the gambler so afflicted, would want to continue a game although he is without adequate funds to back his bet. The basic belief by the gambler is, if he keep on playing he will eventually win. Thus he will borrow, beg or steal for the funds to play. People within the gambling industry began to take notice of this pattern and recognized it as abnormal behavior. They also saw the effect it had on the game, gamblers, the gambler’s family and society in general. As a result they developed a plan to help these individuals and preserve their gambling houses and so Gamcare was created. 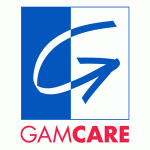 Gamcare is a service organization founded by businesses within the UK gambling industry. It provides counseling and guidance for anyone found with problem gambling. The term problem gambling is used when during a gambling activity, an altercation develop in which harm is done to the gambler, or by the gambler to others. Gamcare services are aimed at better education for gambling businesses to deal with problem gamblers and provide help for those diagnosed with the problem. More gambling places in UK are practising responsible gambling than ever before, thanks to Gamcare, also more problem gamblers are findng help online to deal with their habit. This is creating a safer environment for those who enjoy the sport. Gamcare also offer traning to workers in the gambling industry, in an effort to raise the level of awareness on problem gambling in the community. They are instructed on the services that are available, how to deal with problem gambling customers and how to practice responsible gambling in their establishments. Those interested in taking a course on Social Responsibility Training, can go online to the Gamcare site and find information as to the time and place of the next training session. Hey guys .. do you have an idea if Gamcare is a free organization?